Over the years the petrolheads know Peugeot as one of the reliable automotive manufacturers of Europe and world-class car. But who would have thought that the Peugeot also had a big hand in the manufacture of another variant vehicles. 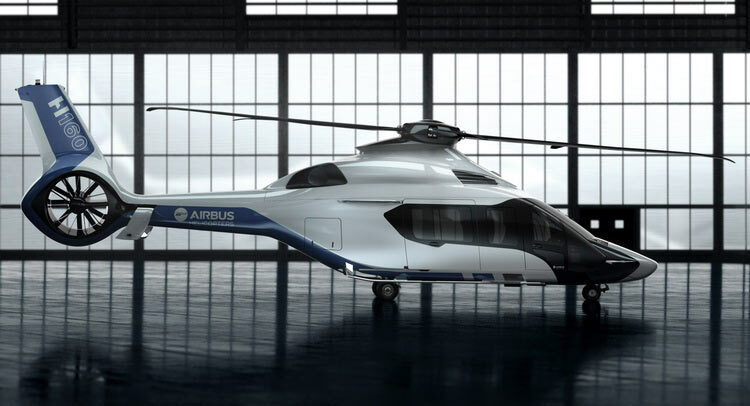 In collaboration with Airbus, one of the aviation companies and aircraft manufacturers in the world, Peugeot Design Lab was involved in design and the formation of the Airbus H160 helicopter. It can be seen in terms of physical and accents helicopter that thick with the Peugeot touch. The Airbus H160 is a helicopter that will be produced en masse in 2016, although physically helicopter is still in prototype form. 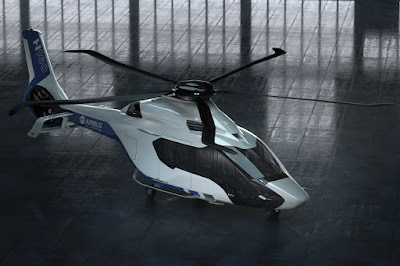 Reportedly, Peugeot Design Lab was given a full mandate to provide his or her identity on this helicopter. The futuristic shape covers the entire body and form of H160. Peugeot also adds to the uniqueness of the cockpit were impressed transparent and dynamic. In addition, the Peugeot's car identity also did not forget to be pinned on propeller and its aerodynamic dimensions.